Posted in "What do I need for a lower leg service?" Posted in "Service kit for shock (which one)"
Posted in "Do you think 2x will come back?" 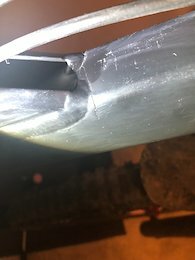 Posted in "Jeffsy 29er Thread"
Posted in "Rockshox Pike Stuck Mid-Travel"
I expect a full length review of each of these floofers by mid summer. Posted in "New Jeffsy 29 or almost new Ibis Mojo HD4"